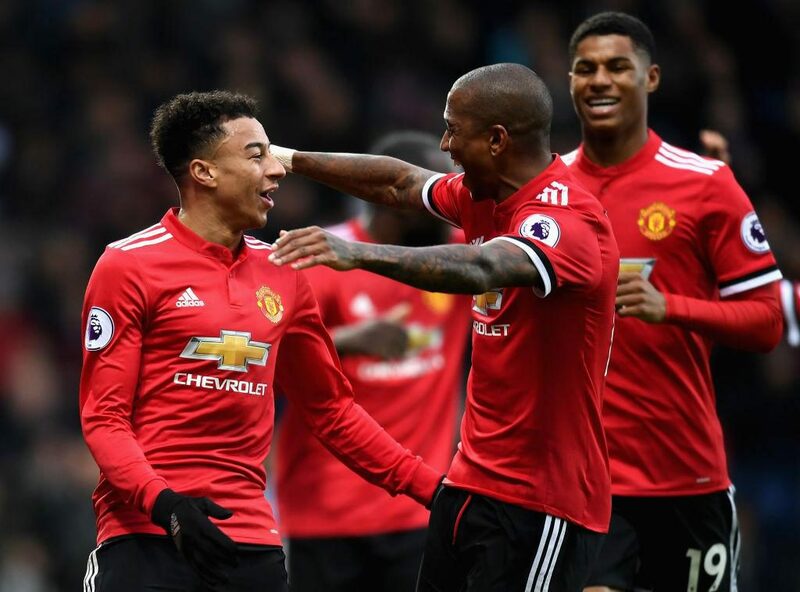 Manchester United held on to a 2-1 victory at West Bromwich Albion this afternoon to make it five wins from our last six in the Premier League. Romelu Lukaku and Jesse Lingard scored the goals in the first half in a game we looked so comfortable before sitting back and allowing West Brom to score 15 minutes from time. A couple of tame efforts down his throat but otherwise David de Gea had a quiet afternoon overall. Gareth Barry poked home from close range from a corner that we failed to clear but the Spanish goalkeeper wasn’t at fault. De Gea then escaped conceding an equaliser late on when he failed an attempted punch from a corner that saw the ball eventually land favorably into his hands a yard out. Another solid game at right-back keeping James McClean quiet down West Brom’s left until our captain went off injured midway through the second half. Our defensive duo were solid in the game before we looked shaky from set pieces and a couple of crosses in the final 15 minutes, shortly after Marcos Rojo came on. Made a couple of important headers and clearances as we were holding on for the 15 minutes. Didn’t allow Oliver Burke to influence the game around the edge of the penalty area. Pacey Scottish winger Oliver Burke didn’t have the beating of Ashley Young once in his first start for West Brom. Our left-back was solid defensively and brought the forward too. Didn’t pick anyone out with any of his crosses and finished the game at right-back following Valencia’s injury. An excellent game after a slow start. We noticeably improved in the first half after Nemanja Matic brought the ball forward to help start attacks and shortly after we took the lead. The Serbian controlled the game in midfield and West Brom weren’t allowed to create anything down the middle. Excellent defending to prevent Jonny Evans having a tap in from a corner one yard out. Played some nice long balls forward too. Didn’t give the ball away very often and was tidy in the middle of the pitch, albeit only a simple passing game. Broke up the opposition play on a couple of occasions but not a huge influence in our attacks. Some excellent passing in West Brom’s half, particularly in the first half which included the assist for Jesse Lingard’s goal. Quiet after the break. Another excellent performance in the number 10 role which was capped off by scoring our second goal before half-time, albeit aided by a huge deflection off Ahmed Hegazy. Rarely gave the ball away and forced a save out of Ben Foster in the second half. Faded in the final 20 minutes when we needed another counter attacking threat. Excellent assist for our opening goal and came close with a first time effort in the second half, though Marcus Rashford was unable to test the opposition goalkeeper with any of his attempts before being replaced shortly after West Brom scored. Another fine headed goal in what was our striker’s only shot of the game. Marcos Rojo (26 mins) 4 – Came on for the injured Antonio Valencia, going to play left-back with Ashley Young switching to the opposite flank. Failed to clear the corner that left to West Brom’s goal and needlessly conceded a corner three minutes from time that also caused pressure on our goal. Anthony Martial (13 mins) 6 – Offered some pace on the counter and won a free kick late on to help us see out the final seconds. Scott McTominay (6 mins) N/A – Came on late to help see out the victory.